Jordan ® Classic Rubber Studio Barbell Set. 2 grip anti-roll design discs (30mm). Colour coded for easy weight identification. Quick release collars (30mm). New steel grip design bar. 2 x 1.25kg discs (Red). 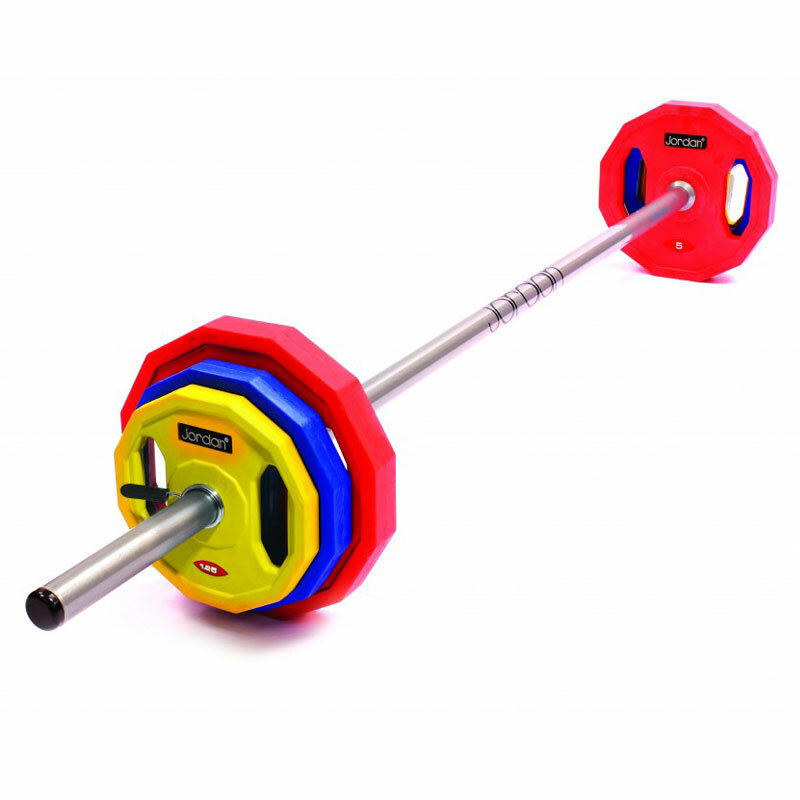 2 x 2.5kg discs (Yellow). 2 x 5kg discs (Green). 1 x Studio Barbell Bar. 1 x Pair of Clamp Collars. Bar dimensions: 1400mm x 30mm.